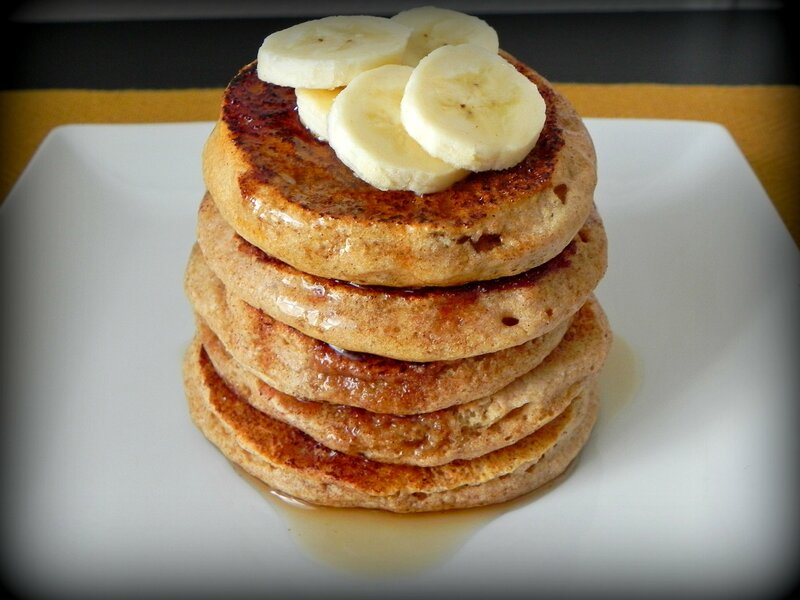 These pancakes are the perfect indulgence for your sweet breakfast craving and are mostly carbohydrates. Serve them with some protein and fat such as eggs or turkey sausage to make a balanced meal. Combine oats, flour, baking powder, 1/4 tsp cinnamon, and brown sugar in a medium bowl. In a small bowl, whip egg whites until foamy and set aside. Combine almond milk, vanilla, and vinegar in a large bowl. Add dry ingredients to wet ingredients and stir until batter is formed. Gently fold in egg whites until just combined. (Be careful not to over mix). Combine granulated sugar and remaining 1 tbsp cinnamon in a small bowl and set aside. Heat a griddle or non-stick skillet over medium-high heat and lightly coat with cooking spray. Add batter to skillet to form 6 small pancakes. When bubbles start to form on the top of the pancakes (about 2-3 minutes), gently flip pancakes and cook for additional 2-3 minutes or until cooked through. Transfer pancakes to a plate. One at a time, lightly spray the top of each pancake with cooking spray and dip in cinnamon and sugar mixture from step 4. With skillet over medium heat, place pancake top-side down for about 30 seconds or until cinnamon-sugar mixture caramelizes. Serve immediately. Top with maple syrup and sliced bananas if desired.